Belleza Mexicana (Mexican Beauty) is an exhibition exploring the representation of femininism and power in Mexican art and culture. These important works from the Abarca Family Collection reveal aspects of Mexican women’s lives, from early childhood into the afterlife. Within the narrative are intertwined themes of power, sensuality, nature, tradition, religion, spirituality, and identity. These notions are investigated through the visual mix of indigenous, Mexican, and Mexican-American imagery. Potent ideas combine and contrast with nature revealing an important story of power through tradition and ritual. This story is particularly important on the Auraria campus, a historically Mexican-American neighborhood. The works from the exhibition are generously on loan from the Abarca Family Collection, one of the most significant collections of Mexican and Mexican-American art in the Rocky Mountain Region. 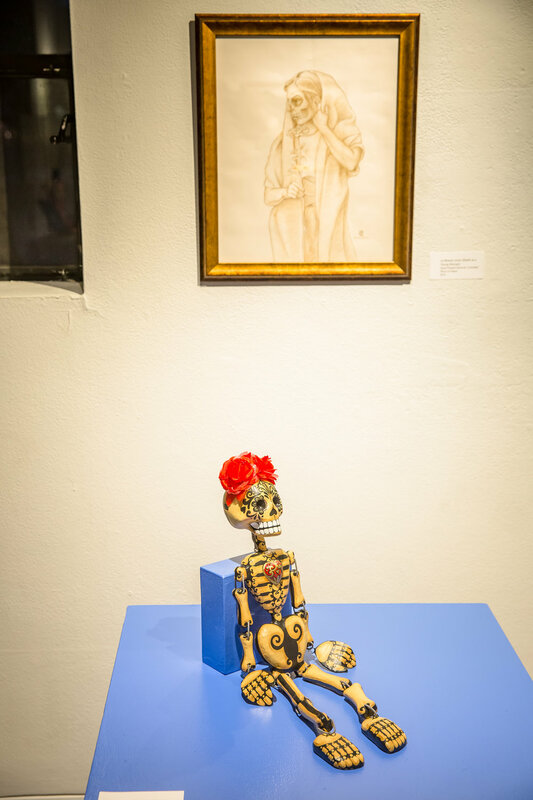 This exhibition was co-curated by student staff at the Emmanuel Art Gallery and Adrianna Abarca, founder of the Latino Cultural Arts Center. This exhibition is supported by the CU Denver College of Arts & Media and the Office of Diversity and Inclusion. It is also supported by contributions from the Denver Art Museum.